That’s a lot to celebrate in just 31 days. I personally choose to just primarily focus on National Ice Cream Month. The rest will take care of themselves, I’m sure. By the way, today specifically is National Culinarians Day, as well as National Thread The Needle Day. These are like celebrations within celebrations. Maybe you can figure out how to walk the thin line of perfecting blueberry and hot dog ice cream to take on a picnic with your phone on silent today so that you won’t be bored. The thing is, there is some odd holiday on every day of the year. In other words, someone somewhere chose to celebrate something, and made a big enough issue out of their celebrating that others took notice. Every day presents us with the opportunity to celebrate or be sour. For example, July 3rd-August 11th are known as “The Dog Days of Summer.” For those of us who live in the Deep South, we can either bellyache about our clothes becoming instantly damp from humidity and sweat the moment we walk outside… orrrrrrrrr…. We can remember that it’s National Ice Cream Month, and let the heat motivate us to celebrate. 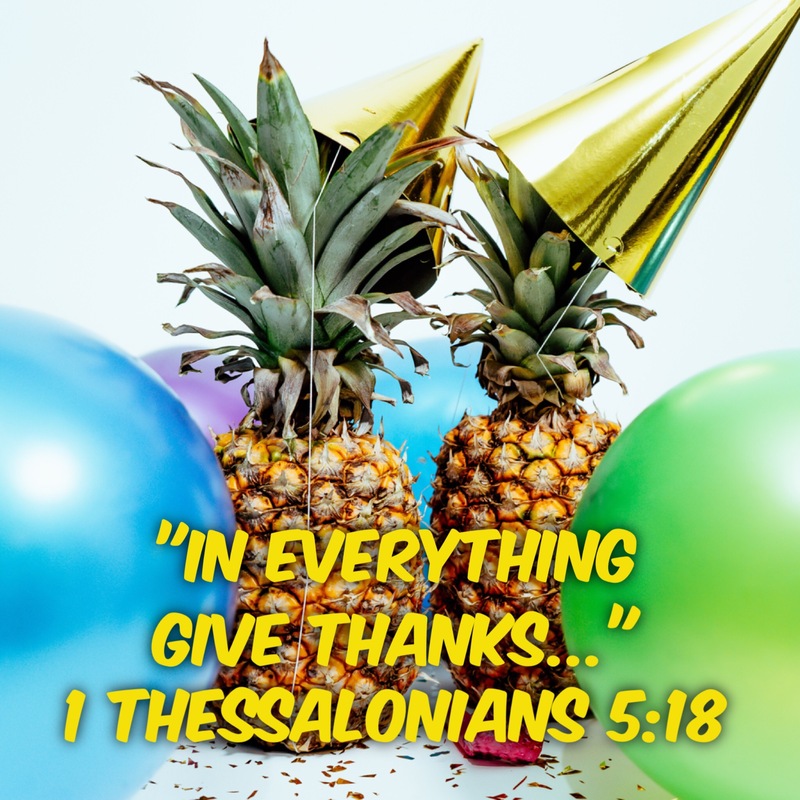 The Apostle Paul encouraged people in his day to give thanks in everything… not because every situation is totally enjoyable, but because Jesus took our punishment so we could be free and be in God’s family forever. I want to be a person who celebrates. I want to celebrate people. I want to celebrate accomplishments… big or small. I want to celebrate blessings when I am surrounded by challenges. I choose to be a person who celebrates. There is always something for which to be thankful… something to celebrate. You and I get to choose which emoji we will select for every situation. My encouragement to you today is to choose to celebrate regardless of “the Dog Days of Summer” or any other challenge. I mean, after all, it’s National Ice Cream Month! And just in case you didn’t know, next month is National COFFEE month! !